Тема в разделе "Fast HYIP от 61%", создана пользователем All-HYIPs.info, мар 20, 2019. 20.03.19 17:13 Transfer Sent Payment: 150.00 USD to account U17652397 from U1294xxx. Batch: 251840300. Memo: Shopping Cart Payment. 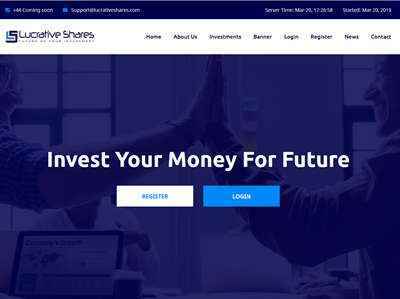 Deposit to Lucrative Shares User allhyips. Lucrative Shares +6.00 Received Payment 6.00 USD from account U17652397. Memo: Shopping Cart Payment. Withdraw to Fairmonitor from Lucrative Shares. 22.03.19 23:15;Account;Receive;Received Payment 4.5 USD from account U17652397 to account U1294000. Batch: 252213905. Memo: Shopping Cart Payment. Withdraw to allhyips from Lucrative Shares. 24.03.19 18:20;Account;Receive;Received Payment 9.00 USD from account U17652397 to account U1294000. Batch: 252451016. Memo: Shopping Cart Payment. Withdraw to allhyips from Lucrative Shares. 26.03.19 17:57;Account;Receive;Received Payment 4.5 USD from account U17652397 to account U1294000. Batch: 252746762. Memo: Shopping Cart Payment. Withdraw to allhyips from Lucrative Shares. 25.03.19 23:22;Account;Receive;Received Payment 4.5 USD from account U17652397 to account U1294000. Batch: 252621643. Memo: Shopping Cart Payment. Withdraw to allhyips from Lucrative Shares. 27.03.19 18:16;Account;Receive;Received Payment 4.5 USD from account U17652397 to account U1294000. Batch: 252898052. Memo: Shopping Cart Payment. Withdraw to allhyips from Lucrative Shares. 30.03.19 04:58;Account;Receive;Received Payment 4.5 USD from account U17652397 to account U1294000. Batch: 253210241. Memo: Shopping Cart Payment. Withdraw to allhyips from Lucrative Shares. 29.03.19 06:22;Account;Receive;Received Payment 4.5 USD from account U17652397 to account U1294000. Batch: 253086502. Memo: Shopping Cart Payment. Withdraw to allhyips from Lucrative Shares. 31.03.19 05:50;Account;Receive;Received Payment 4.5 USD from account U17652397 to account U1294000. Batch: 253316866. Memo: Shopping Cart Payment. Withdraw to allhyips from Lucrative Shares. 01.04.19 18:10;Account;Receive;Received Payment 4.5 USD from account U17652397 to account U1294000. Batch: 253885576. Memo: Shopping Cart Payment. Withdraw to allhyips from Lucrative Shares. 01.04.19 04:16;Account;Receive;Received Payment 4.5 USD from account U17652397 to account U1294000. Batch: 253424815. Memo: Shopping Cart Payment. Withdraw to allhyips from Lucrative Shares. 03.04.19 18:06;Account;Receive;Received Payment 4.00 USD from account U17652397 to account U1294000. Batch: 254210912. Memo: Shopping Cart Payment. Withdraw to allhyips from Lucrative Shares. 02.04.19 18:23;Account;Receive;Received Payment 4.5 USD from account U17652397 to account U1294000. Batch: 254046356. Memo: Shopping Cart Payment. Withdraw to allhyips from Lucrative Shares. 04.04.19 18:15;Account;Receive;Received Payment 4.5 USD from account U17652397 to account U1294000. Batch: 254375943. Memo: Shopping Cart Payment. Withdraw to allhyips from Lucrative Shares. 06.04.19 19:53;Account;Receive;Received Payment 4.5 USD from account U17652397 to account U1294000. Batch: 254642697. Memo: Shopping Cart Payment. Withdraw to allhyips from Lucrative Shares. 06.04.19 05:49;Account;Receive;Received Payment 4.5 USD from account U17652397 to account U1294000. Batch: 254558654. Memo: Shopping Cart Payment. Withdraw to allhyips from Lucrative Shares.